Gab here! It’s been a while folks. March through May are pretty crazy months for me. Now it’s summer, I have plenty of time to read and write reviews. 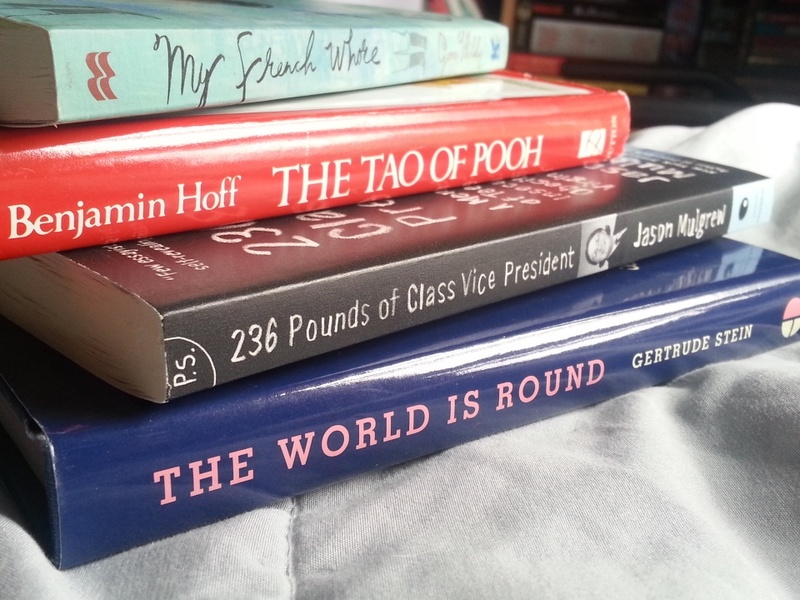 To start my summer off, I decided to participate in a read-a-thon. If you’re not familiar with that concept, it’s what it sounds like. You start reading on a certain day and keep reading til the end date. 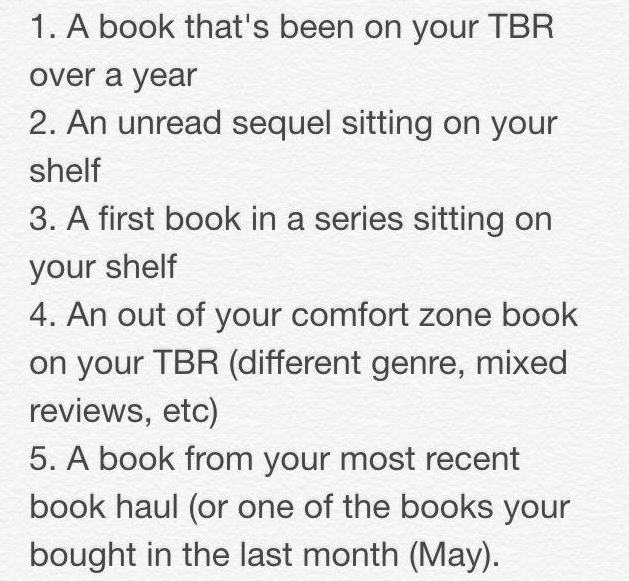 This is a great way to get your TBR pile down. That’s actually the purpose of this read-a-thon. And man, do I need to get some books read on my shelf. It’s a bit intimidating sometimes. Shannon over at Leaninglights (Youtube, Twitter, blog) came up with the #TBRTakedown read-a-thon in order to get some of her unread books on her shelf read. This starts on Monday, June 1 and lasts til Sunday, June 7. To help people guide what to read for the week, she came up with 5 categories. Now of course, you don’t have to follow these guidelines. You can read what you want to. You also don’t have to read five books. If you want to read one, awesome! If you want to read 10, awesome! This is more just to help you figure out what you want to read. So here are the books I will hopefully finish next week. I’m actually going to cheat and start sooner than Monday so I don’t feel so overloaded and pressured. So there it is, my TBR for the #TBRTakedown Read-A-Thon. I hope some of you join in. It should be a lot of fun. Sometimes it’s good to push yourself beyond your limits. Here is the video to leaninglight’s video about #TBRTakedown for any extra information. Born and raised in Slidell, Louisiana. Gabrielle attended college Loyola University of New Orleans until Hurricane Katrina displaced her and her family. She graduated from University of Wisconsin - Whitewater with a degree in Advertising and minor in Multimedia Designs. After graduating college, she moved to Abilene, KS where her parents moved to. She now works in education working with middle schoolers. Gab loves a good story, especially in the adult fantasy and sci-fi categories. She loves her coffee and tea. In her free time, she dabbles in crafts, and snuggles with her dog Gumbo.